Now, Rorate is second to none in its realistic view of Pope Francis and the Bergoglian Pontificate. Minutes after his name was announced, literally as he appeared on the loggia on that fateful March 13, 2013, we were the first in the world to warn about his Pontificate -- and we suffered great criticism and even persecution for it. It has been bad for the Church, but good for our credibility, to slowly see all Traditional-leaning Catholics first, then almost all serious Catholics, reach the conclusion we had reached on the first instant of the papacy. We have worked to inform our readers realistically since then. However, viewing this pontificate as it is does not mean being against an eventual agreement which recognizes the full regularity of the Society of Saint Pius X. First, it cannot be said that this is a Bergoglian effort -- it has started since the first day of the Pontificate of John Paul II, and has continued ever since. A situation of full regularity would be the crowning step of talks that began in the year 2000 and have been practically uninterrupted since then. Second, the Church will continue, non habentem maculam aut rugam (Eph. 5:27), long after the current Pontificate, as strange as this may seem now: She will continue until the end of time. Just as we were realistic about Pope Bergoglio, we have to be realistic about the Society of Saint Pius X reaching full regularized status: the positive possibilities are enormous, far-reaching, and incredibly exciting for the whole Church. Yes, one may ask, but what about the worst possible scenario? Well, the Society of Saint Pius X is well-acquainted with injustice. Whatever can be thrown at it, the Society already knows it: could it be worse than the humiliation and injustice of Paul VI's lawless suspensions? Decades before Francis refused to answer the dubia, Paul VI refused everything to Archbishop Lefebvre and his good priests, seminarians, and lay followers, he refused their appeals, and he refused any reasonable compromise. And could any worst outcome after regularization be stronger than what followed the interruption of negotiations in June/July 1988, with the excommunication of Archbishop Lefebvre, Bishop Castro Mayer, and the four newly-consecrated bishops? Well, then: let us be realistic. At least in a Church where the law seems meaningless (with all the grave risks this entails), the canonical consequences of the "incomplete communion" of the Society of Saint Pius X look utterly ridiculous. 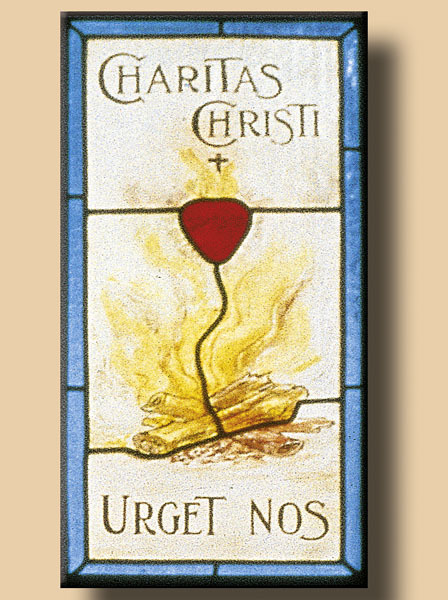 May a full regularization, something that is a positive good in and by itself, regardless of current historical circumstances, be reached soon, for the glory of God and the salvation of more and more souls: Caritas enim Christi urget nos (II Cor. 5:14).